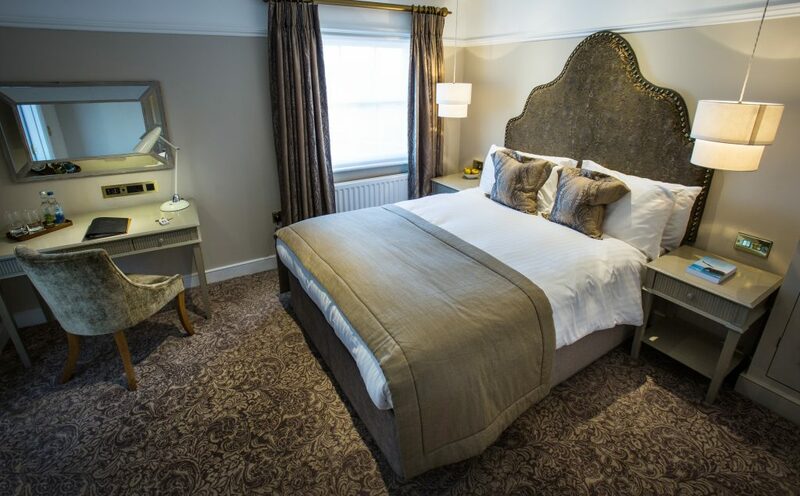 Arden House is an AA Five Gold Stars property offering a superb boutique bed and breakfast experience. 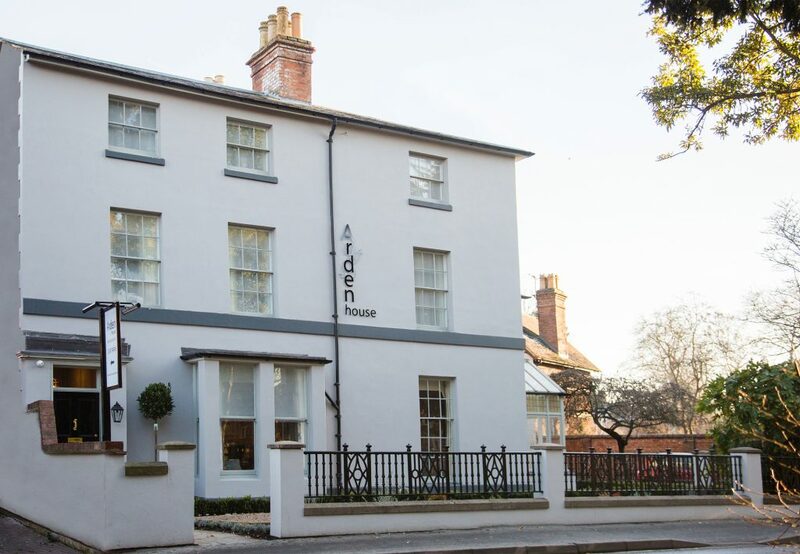 Eschewing the traditional hotel treatment in exchange for a warm and homely place to spend a short stay or long weekend, Arden House is a sanctuary for comfort and relaxation. 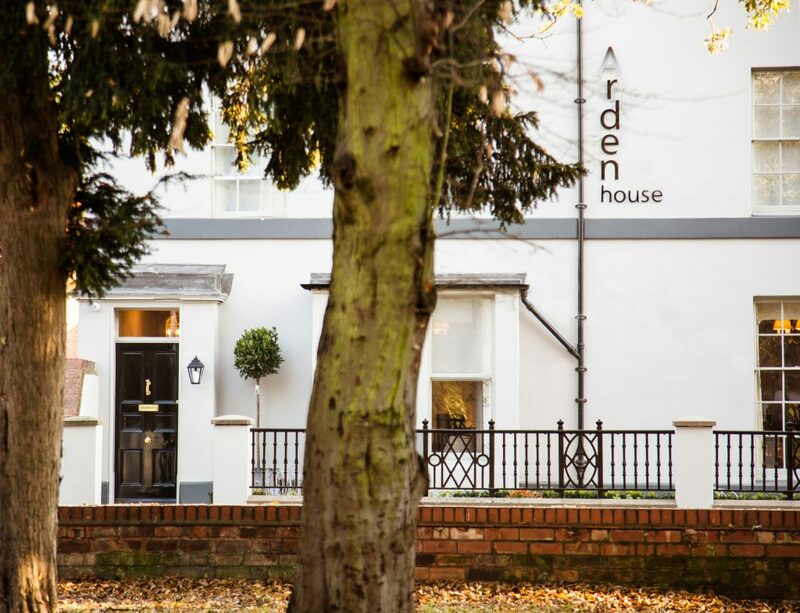 Part of the Eden Hotel Collection, Arden House offers a highly professional level of service combined with welcoming personal touches. 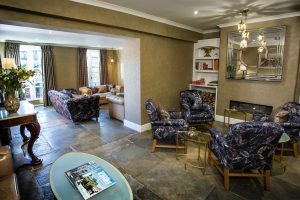 If you are looking to get away from it all and relax in seclusion, Arden House boutique B&B provides a wonderful environment in which you can kick back and chill. Your comfort and ease has been considered at every level, from the soothingly decorated rooms to the luxury spa-standard toiletries in each and every bedroom. It’s also the perfect place if you’re planning to bring friends and family together for a special occasion, as Arden House can be exclusively booked and is both hen and stag party friendly. Whatever the purpose of your break, you can relax safe in the knowledge that you can call on the Arden House Hosts to take care of your every need. 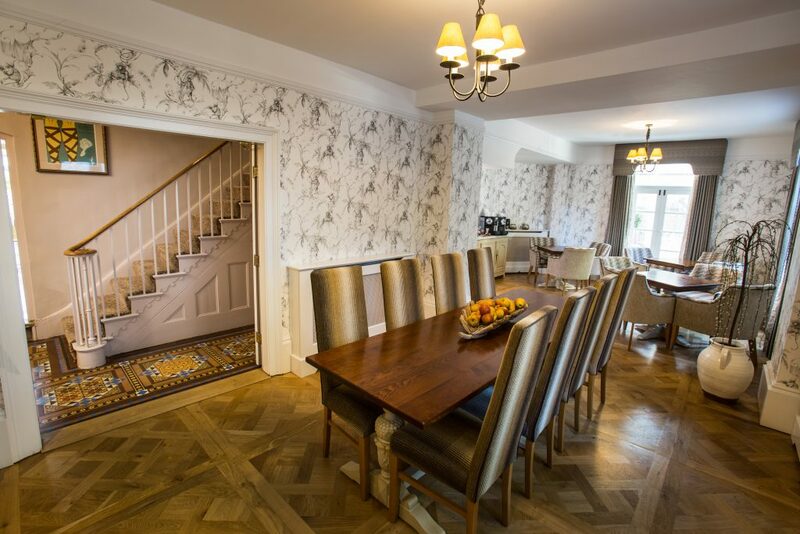 With its easy road, rail and airport access, Arden House is ideally situated for exploring Stratford-upon-Avon, offering a luxury, centralised base from which to explore the town. Stratford-upon-Avon, the birthplace of William Shakespeare, is steeped in culture and history. Set in rural Warwickshire countryside and on the banks of the river Avon, it is an important tourist destination in the UK. The Royal Shakespeare Theatre and adjacent Swan Theatre perform plays all year round, whilst other nearby major attractions include Hall’s Croft, Anne Hathaways’ Cottage and Holy Trinity Church where Shakespeare is buried. 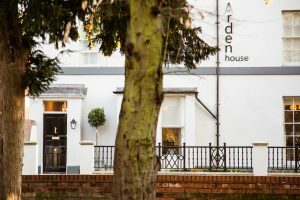 If you’re visiting Stratford-upon-Avon, but want a relaxed and personal place to stay, then Arden House is just the ticket. Arden House is a charismatic town house in the central area of Stratford-Upon-Avon. 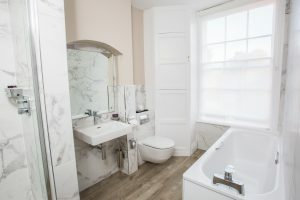 Newly refurbished, it offers the high levels of service that you would associate with a luxury hotel, whilst maintaining the personal touches that you want with a luxury bed and breakfast stay. The property has been designed in soothing tones, creating a sanctuary that will welcome you and get your boutique bed and breakfast stay off to the best possible start. 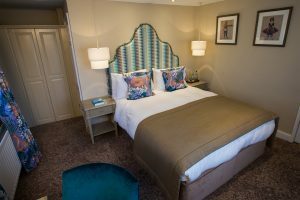 As well as the individually designed bedrooms, guests can enjoy full use of the lounge and garden room both of which are delightful rooms for relaxing in. 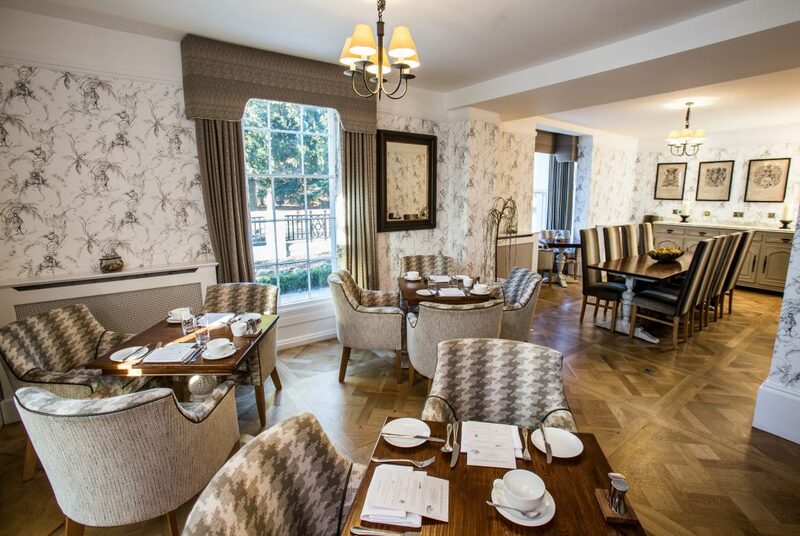 Breakfast is served in the dining room and in the evening you can join your house hosts at the residents bar. 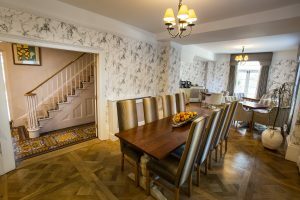 Unlike other luxury B&Bs, Arden House caters for different levels of visitor needs, from those who need a sumptuous place to relax at the end of a busy day, to others who need to take a break from the day to day routine, without missing out on any home comforts. Arden House offers a fabulous ‘Home from Home’ package that showcases the best that the Stratford-Upon-Avon area has to offer. ‘Home from Home’ is an all-inclusive package which provides more than simply a stunningly-decorated bedroom and a divine breakfast. 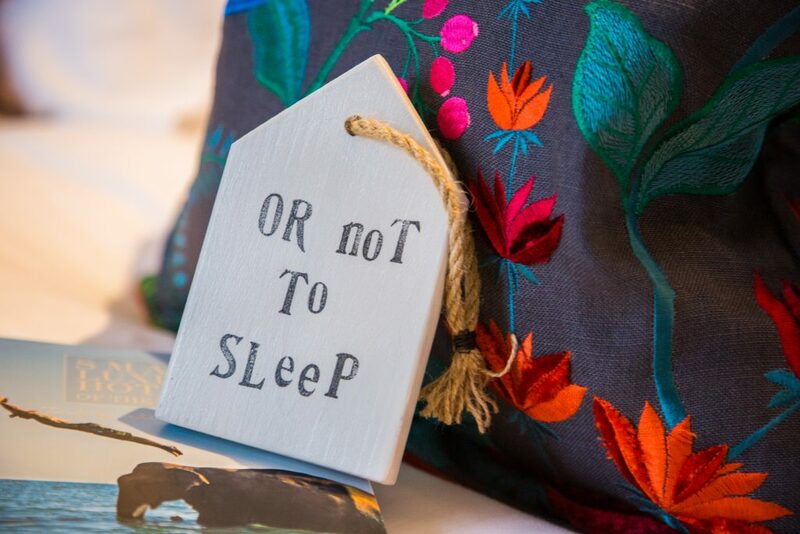 As a ‘Home from Home’ Guest, you’ll enjoy a range of welcome gifts inspired by Stratford-upon-Avon and from local suppliers, a range of quality books, magazines and newspapers, ‘The Pantry’ to tuck into, along with afternoon tea and drinks. 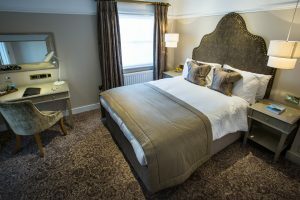 The bedrooms at Arden House have been developed to offer guests much-needed havens of calm that will help them to get the most out of a luxury bed and breakfast weekend break or a longer stay. 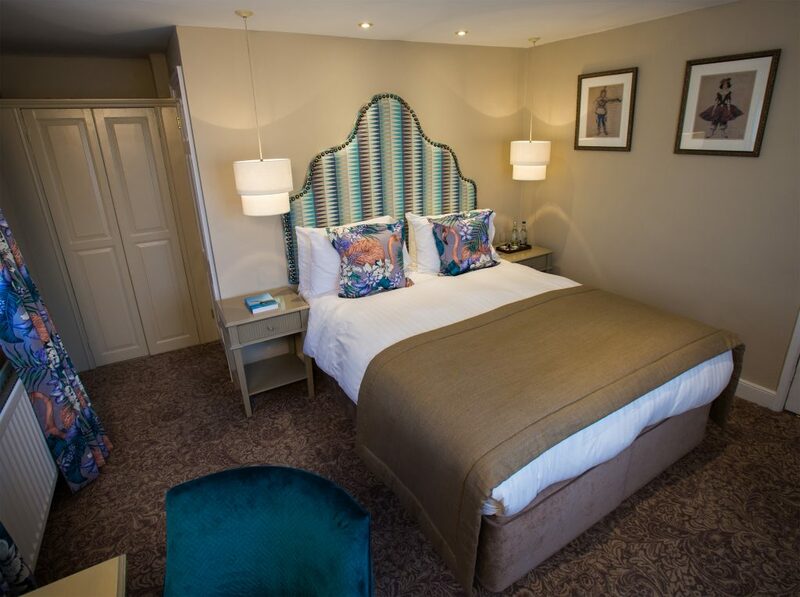 Not only are the rooms in Arden House right in the heart of Stratford-upon-Avon, but they have been designed with the ultimate in chic comfort and relaxation in mind. While there is everything that you might expect from a boutique bed and breakfast, your hosts have made sure that the little personal touches they have added only serve to make your stay superbly relaxing. Rooms boast beautifully crafted furniture with superb finishes that give the impression that you’re in a stunning, luxury home. 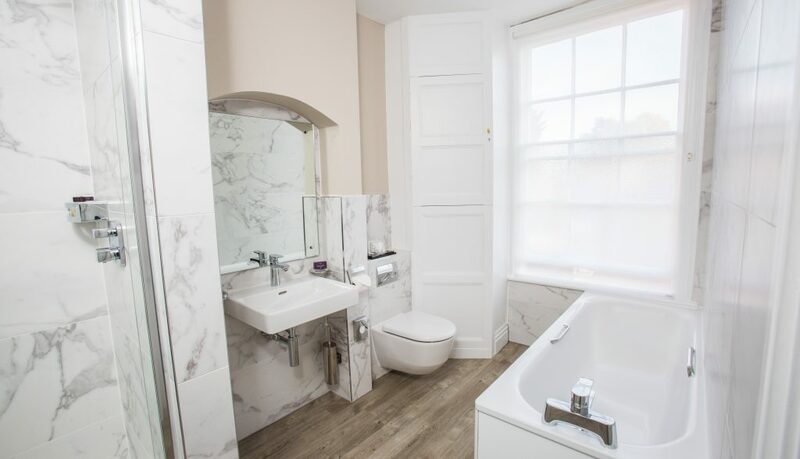 The ten bedrooms at Arden Houses have been designed to encourage you to kick back and enjoy watching the Apple television, or to slip into a luxuriously decadent bath filled with the aromas of spa-standard ESPA toiletries. Each room comes with high quality bedlinen, luxury bathrobes and slippers and guests are provided with fresh fruit and mineral water. Cots are available for families travelling with babies. 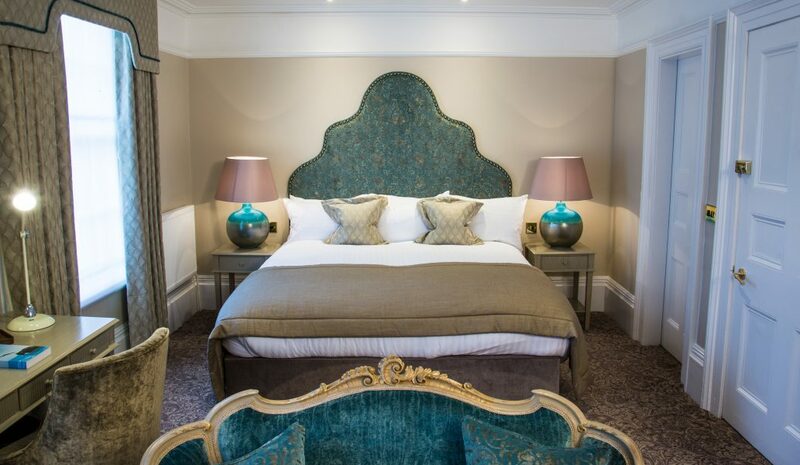 After a great night’s sleep in one of the superb Arden House beds, you’ll be ready to step downstairs for an award-winning breakfast. The recipient of an AA Egg Cup Award, Arden House are justly proud of their very special breakfast. In a world where there can often be an emphasis on quantity over quality, Arden House have instead focused on sourcing outstanding local ingredients before preparing them to the highest standard. Guests at Arden House will be able to enjoy their breakfast prepared to order with all dietary requirements catered to as a matter of course. Should you get a little peckish during the day, The Pantry is full of soft drinks and snacks that can be enjoyed all day long. 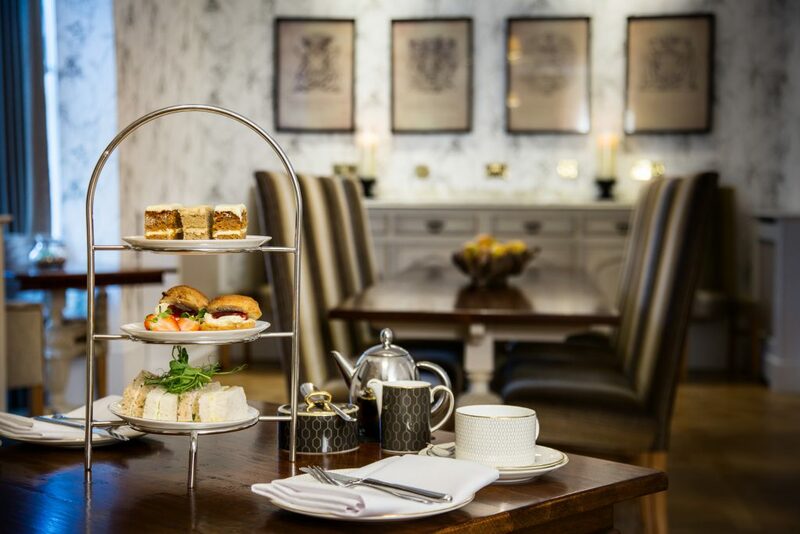 For those of you with a sweet tooth, the Arden House afternoon tea is served daily at 3pm, or make plans to be back in time for evening drinks with your house hosts – 5pm is ‘gin o’clock’. 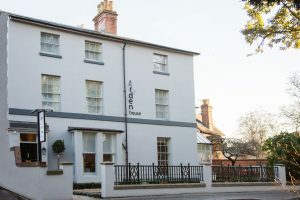 Arden House is also the sister property of The Arden Hotel which is located 5 minutes away right opposite the RSC Theatres. 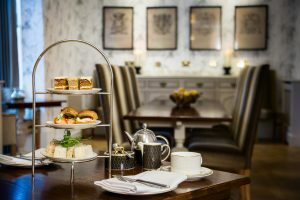 The Waterside Brasserie at the Arden Hotel offers guests a relaxed dining experience in a chic environment, complete with its own Champagne Bar and beautiful interiors. Their Head Chef will prepare a variety of unique and mouth-watering dishes using only the best seasonal local ingredients and as guests of Arden House, you will be offered priority booking. Every bride and groom is different – and so is their dream wedding. For some, they need to tell the world, whereas other couples are delighted by the idea of a smaller affair, that is no less special because it is intimate. Arden House understand that couples want somewhere to call their own for their wedding, a special place for sharing experiences and creating memories. Situated in Shakespeare’s birthplace, there are fewer more romantic places to say ‘I do’ than the Heart of England. 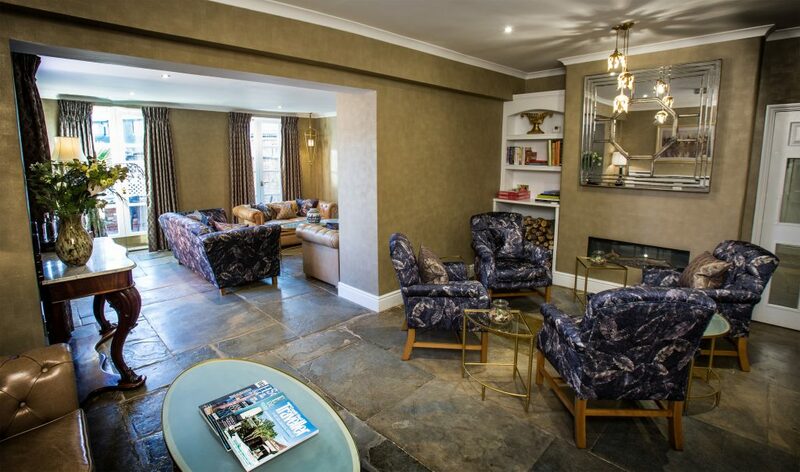 With the emphasis firmly on luxury, Arden House offers a calm and inviting place to relax in – somewhere that feels like home, but with a high level of service and personal touches that you will find in a luxury 5-star residence. With ten elegantly designed bedrooms, the Arden House boutique bed and breakfast townhouse can be hired exclusively, offering the luxury and privacy you need your wedding day. Arden House can tailor your wedding package specifically for your needs and offer a formal wedding breakfast for up to 20 guests or a more informal buffet for up to 30 guests. Your wedding party can enjoy drinks on the terrace of their sister hotel, the Arden Hotel, as the Avon gently flows by, before returning to your own unique reception at Arden House. You have found a wonderful place to stay and Boutique and Breakfast is committed to giving you a personalised service so that you can find the right room at the right price. Simply fill in our enquiry form and within 24 hours you will receive a response from Arden House tailored to your needs. This will be in the form of either a telephone call or an email. A delightful establishment and one to be recommended..highly! Friendly, comfortable, engaging, with superb attention to detail makes this a place to not only sleep, but to be. Wonderful hosts, where nothing is a problem. Highly recommended.